TWO distinct brackets have formed on the 2017/18 A-League ladder. 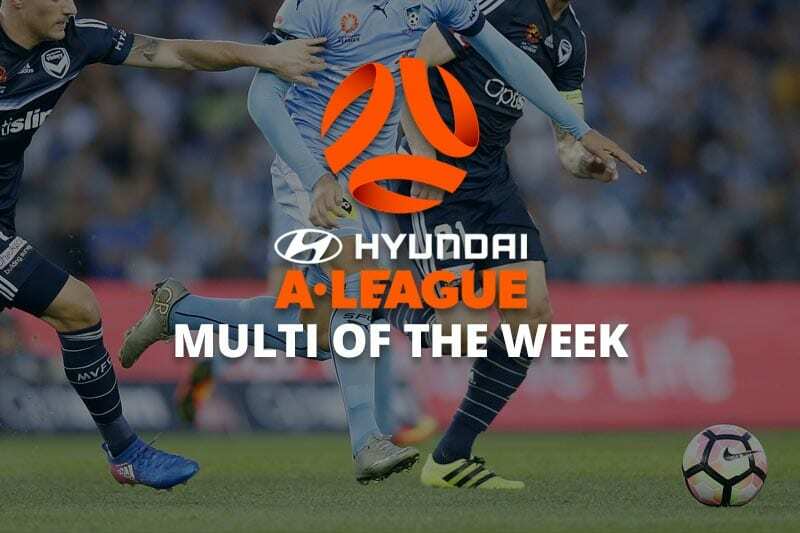 There are five teams in contention for a top-four finish as Sydney FC romp towards a second consecutive premiership title. Sportsbet.com.au is paying +180 for the Sky Blues to face second-placed Newcastle Jets in the grand final. Both Melbourne clubs are in the mix, while Adelaide United are only a point outside the top four. That leaves one finals spot for the remaining five teams. 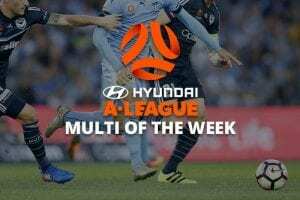 Brisbane Roar, Western Sydney and Perth Glory are locked together on 19 points, but it will only take a couple of results for Central Coast Mariners (16 points) or Wellington Phoenix (14 points) to jump the queue. Sportsbet has Wanderers pegged as -188.68 favourites to finish in the top six. Every result is crucial as we look ahead to the best bets of round 19. There is no such thing as an easy win in the A-League, which is why we are keeping it simple this week. The Phoenix were unlucky not to beat Sydney earlier in the season, but the premiers-elect are cruising now and should have no issues dispatching the bottom side at home. If the Victory don’t win, Adelaide will have a golden opportunity to jump back into the top four. Never trust Perth and their brittle back-line, especially on the road. The Roar have found some form, but they come up against a City side that is gunning for a top-two finish. We fancy the Melburnians to take the cake at Suncorp. Looking for hidden value on your A-League bets? We have scoured the bookies for the best odds available on some of this week’s biggest soccer betting markets. Bobo first goalscorer: Bobo is not everybody’s cup of tea, but the lad sure can put a ball in a net. The Brazilian has 18 goals from as many appearances this term, so the laws of probability suggest another is not far away. TopBetta.com.au has him at early odds of +225 to strike the first blow. Jets or Victory, over 2.5 goals: Saturday’s afternoon clash at the Hunter could go any which way. Take the double chance on either the Jets or the Victory to win and the overs on the 2.5 goal line. Palmerbet will give you -120.48 odds for that scenario. Mariners to win, under 2.5 goals: Both Mariners and Wanderers have struggled for goals this season, but CCM’s superior defensive record makes them tough to beat. If you think the home side can win it with only one or two goals on the board, the +425 quote at Ladbrokes is well worth a stab.